We have long dreamed of owning our own farm — a place where we would be able to raise beef, poultry, and lamb for our restaurants in a manner consistent with our values and standards. A place too for staff retreats, farm dinners, parties, and community building. In 2014, we purchased land on Whidbey Island in effort to realize this dream. La Ferme des Anes, or The Donkey Farm, began with a modest hoop house, and grew to include not only vegetables, but also greens, herbs, flowers, nuts, fruit, and of course, animals. Heritage cattle breeds, renowned for their flavor and quality, are La Ferme des Anes' centerpiece. Our animals are conscientiously raised, grass fed, and just importantly, grass finished. 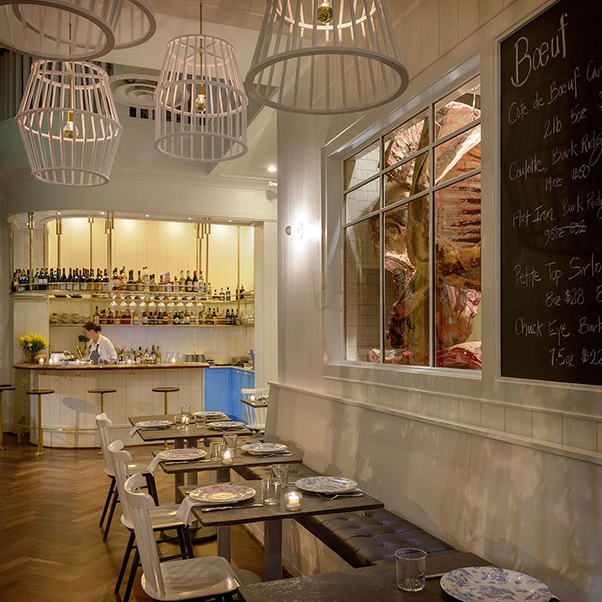 Bateau, a contemporary steak house, is the outcome of all these efforts. 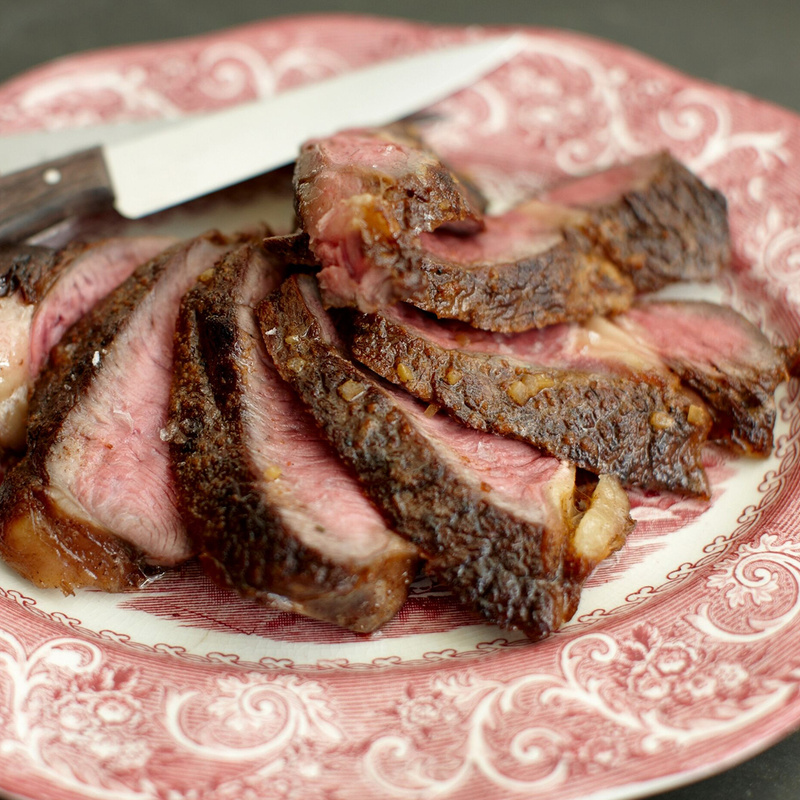 Beef at Bateau is butchered and dry aged in-house. Specialty cuts from LFdA, and other farms with similar commitments to quality, sustainability and animal welfare, are sold by weight alongside inventive sides, twice cooked frites, iconic cocktails and an extensive bottle list. Service is friendly yet refined. “Bateau,” french for “Boat,” is a nod to our beginnings. The reimagined steak house menu is a collaboration between then and now, with Boat Street Cafe's bread pudding featured among dishes soon to earn a following of their own. The dining room also pays its respects to Boat Street Cafe by way of rough slate tables and Curtis Steiner’s “jeffry” chalk drawing. Fast forward to 2018, and LFdA has outgrown its original Whidbey Island acreage. La Ferme's 80+ heads now call Pure Country in Moses Lake home, a Food Alliance Certified ranch.